The social interaction, social contact, socialization tests are valuable behavioral models for testing anxiolytic and neuroleptic drugs. Those tests quantify the level of social behavior between pairs of rodents and it is usually based on manual analysis of behavior thanks to the LabWatcher. 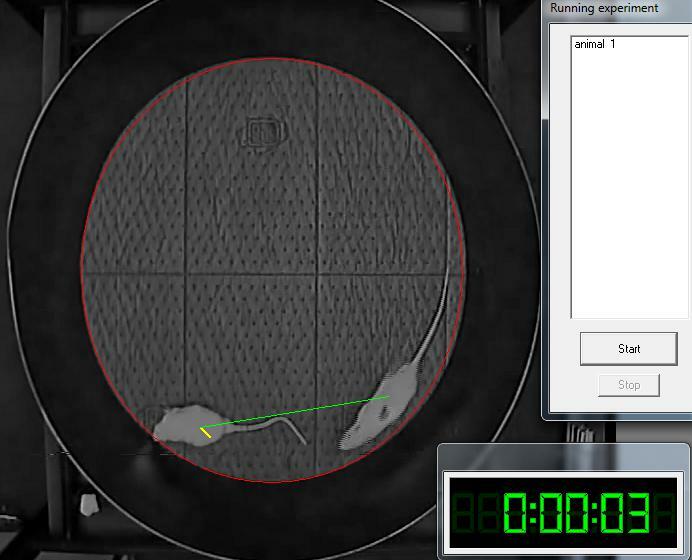 Advances in computer technology have made it possible to track the movements of rodents in an arena. VideoTrack is well adapted for those tests. The ability of the automated system to correctly measure the social behavior of rats is demonstrated by determining a dose-response relationship in the social interaction test. These data are subsequently analyzed by the manual and automated data-acquisition methods and the results are compared.